They may be competitors, but cross-service integration helps users, and that's a good thing. Evernote and Google may be competitors when it comes to notes, but the two companies are burying the hatchet to bring some helpful cross-service integration to users with a foot in both worlds. 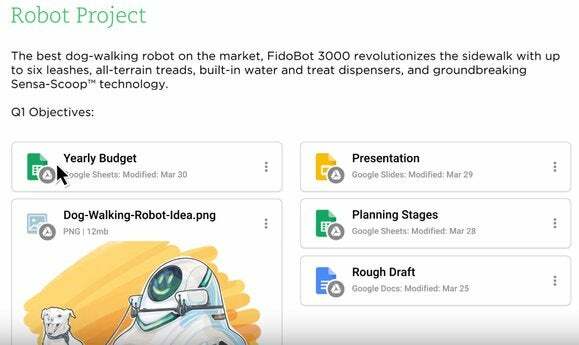 Starting today, any Google Drive content you add to an Evernote notebook will appear as rich content with thumbnail previews, rather than simple hyperlinks—meaning you’ll be able to browse and use your Drive-stored content without ever needing to leave Evernote’s confines. Evernote’s also getting a Google Drive button that lets you search for cloud-stored files to add from right inside your notes. Any changes you make to files stored in your Google Drive will also be reflected in your Evernote notes. Handy-dandy! Look for a beta version of the Evernote-Drive integration to pop up today in Evernote for Android and the web. The story behind the story: Despite tossing this awesome bone at Evernote users, Google Keep still holds some key Google integration advantages of its own. You can have Keep remind you about a particular note at a specific time or location, or check imminent reminders from inside the Inbox app, for example. That said, Evernote’s a far more robust note-taking solution than the simplistic Keep, and it’s great to see Google expand some of Drive’s benefits outside its own ecosystem.